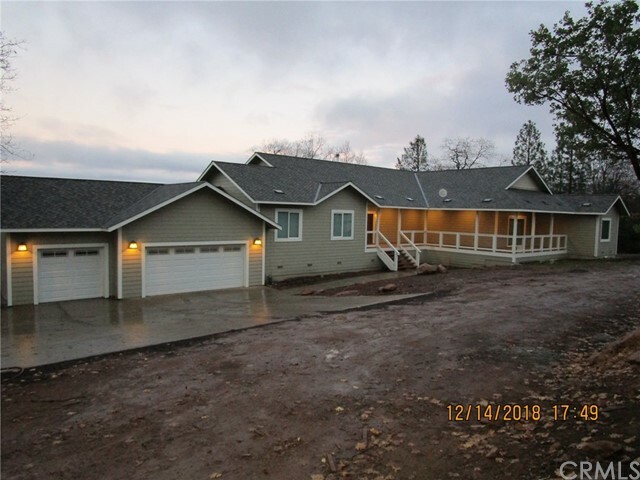 All Kelseyville homes currently listed for sale in Kelseyville as of 04/20/2019 are shown below. You can change the search criteria at any time by pressing the 'Change Search' button below. 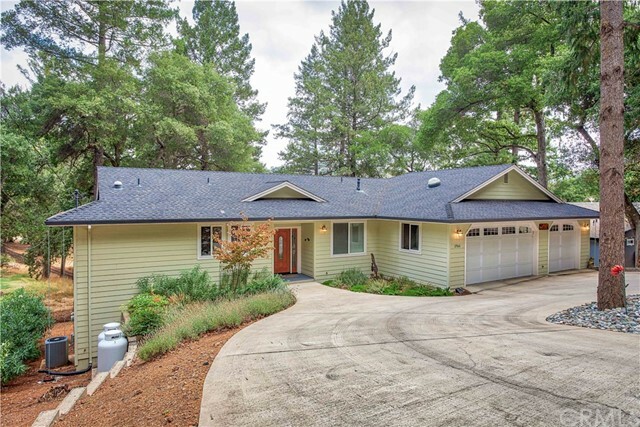 If you have any questions or you would like more information about any Kelseyville homes for sale or other Kelseyville real estate, please contact us and one of our knowledgeable Kelseyville REALTORS® would be pleased to assist you. 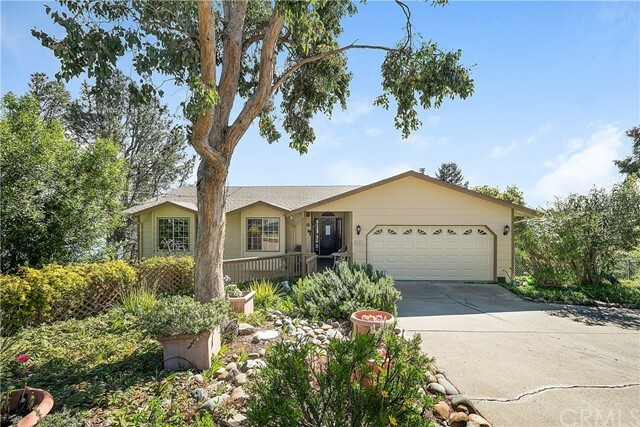 "KELSEYVILLE'S FINEST RANCH INCLUDES A REMODELED 3 BEDROOM 2-1/2 BATH RANCH HOUSE, MANUFACTURED 3/2 2ND HOME AND A SMALL 3RD ONE- BEDROOM COTTAGE. 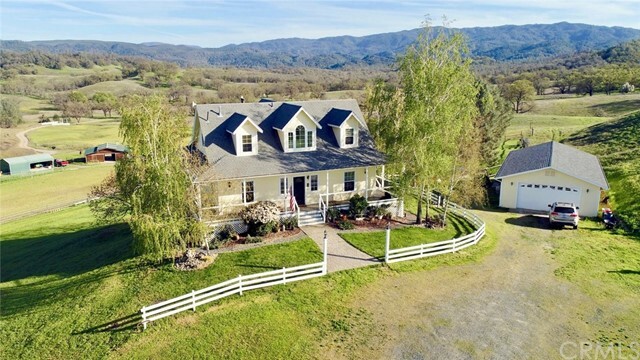 28 ACRES OF CONTRACTED WINE GRAPE VINEYARD, 12 ACRES OF ORGANIC WALNUTS, 9 MORE BARE ACRES READY TO PLANT, PEACH ORCHARD, PEAR ORCHARD,NECTARINE, LEMON, FIG TREES, FARM SHOP, COLD STORAGE FACILITY, CHICKEN COUPE, GARDEN AREA, FENCED YARD AND 3 WELLS & SOLAR THAT COMPLETE THIS EXQUISITE PROPERTY! THE GORGEOUS ROW OF ORNAMENTAL PLUM TREES SEPARATING THE VINEYARD AND MERRITT ROAD ALONG THE PROPERTY IS A PLEASANT YEAR ROUND COLOR TO ENJOY AS YOU WALK OR TAKE A SHORT DRIVE TO KELSEYVILLE AND ENJOY ALL THE ACTIVITIES THIS LITTLE COUNTRY TOWN HAS TO OFFER! YOU CAN SIT IN YOUR BACK YARD AND ENJOY THE VIEW OF MT KONOCTI AS THE SUN RISES OVER YOUR VINEYARD." "Rare opportunity to own the highest rated estate vineyard in its appellation. While not only receiving the Highest Rating for any wine in its Appellation , this vineyard has an exceptional track record of producing wines with a rating of 90+ points. Whether you are a collector of prize properties, looking to purchase an estate vineyard for your next home or looking to get into the wine industry on the top , this top-rated property is a rare opportunity. On the property, you not only get the top-rated vineyard in this high elevation, but it does feature a stunning Tuscan-style estate house with a pool, built in hot tub and guest cottage; perfect for entertaining guests. At the end of a one mile private road, this sprawling 70 acre hillside property is inside the Red Hills Appellation on the northern edge of the Mayacamas Mountains and planted using a unique and expensive high density planting to ensure the highest quality fruit. Producing nearly 20 tons in 2018 from 6 acres, there is plenty of room for expansion with nearly 20 more acres permitted, graded and ready for planting, allowing immediate growth for its new owners. REALTOR FRIENDLY AUCTION starting April 19th on this property. All offers to go through auction during this exclusive period for at least 2 weeks and may be extended if reserve is not met. Buyers may offer direct on realtybid website , Property#706871"
"Here a Grand Estate awaits you at the end of the road.... near the point of Buckingham! Here you will find one of the most stunning Lakefront properties around the Lake! Sweeping Lake views with a setting on 1.56 acres of peaceful privacy that includes 330 Ft. of Lakefront. This Estate features an exquisite 6,300+- Sq. Ft., 5 bedroom, 5 bath custom built home featuring a stunning entry with a spiral staircase, a fabulous master suite with a marble fireplace and mini bar in the attached sitting room that leads out to the wrap around deck with fantastic Lake views. A beautifully designed Kitchen overlooking the Lake with breakfast nook, air conditioned wine cellar, walk in pantry and a fantastic party style bar in the family room with brick fireplace is sure to be the hot spot with family and friends! Stately formal dining room, step down formal living room with marble fireplace all with gorgeous Lake views. Step outside on to the brick patio area with built-in brick planter boxes just steps from the Lake, private boat ramp and large lawn area that is ready for all your family fun on 330 ft. of Lakefront! This is Lake living at its best..."
"Your own personal resort! 4.5 acres of PRIME LAKEFRONT near the tip of the Buckingham peninsula, this property has it all! Enjoyed for over 50 years as a beloved family vacation compound & complete with its original CLASSIC lake house charm- included are 2 homes, huge private beach with swimming dock, & completely level acreage with sprawling lawns and massive trees. This rare find of property has a somewhat island-like feel due to the lagoon on one side and Clear Lake on the other. MAIN HOME features 4bds/5bth, 3117sqft, all custom designed back in 1965 with big families and water sports in mind. Has the sense of a lodge retreat, with a solid redwood interior, great room, cathedral vaulted ceilings & a massive floor to ceiling stone fireplace, all facing out to the water. Detached GUEST HOUSE with 3bds/2bth, approx 1200sqft, has its own sleeping porch for those summer nights. Personal tennis court, detached 3 car SHOP with wine storage room,& a 2 car attached pull through garage to launch your own boat. Unique in so many ways...this park like setting is a show stopper for lake frontage in Lake County. Even has room for a small hobby vineyard. 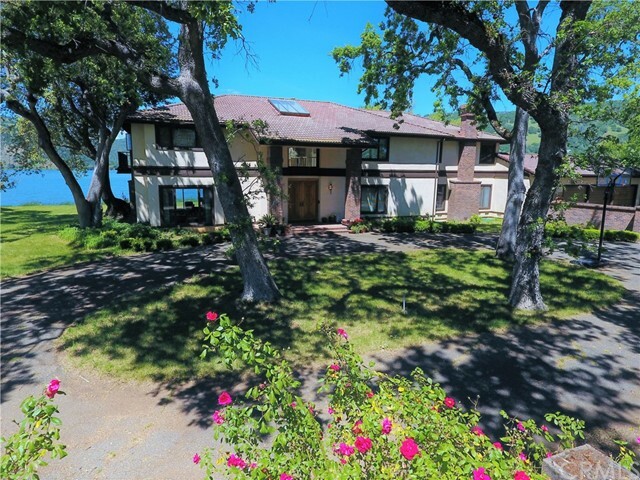 Some of the best bass fishing in all of the U.S., & located only 2.5hrs from the Bay Area, this is truly a one of a kind & must see lakefront estate! Located just outside of the Buckingham HOA, no HOA dues." "*A unique and beautiful gated Lakefront Westside Estate with arguably the best location on Clear Lake! Stunning lake views throughout. Panoramic Konocti Bay or majestic Mt. Konocti views? Why not have both! The gently sloping (with large flat areas) 1.7 acres feels like your own park, 185 feet of water frontage, 2 slip dock with boat lift, beach and private boat ramp. This outstanding quality 3330 sq. 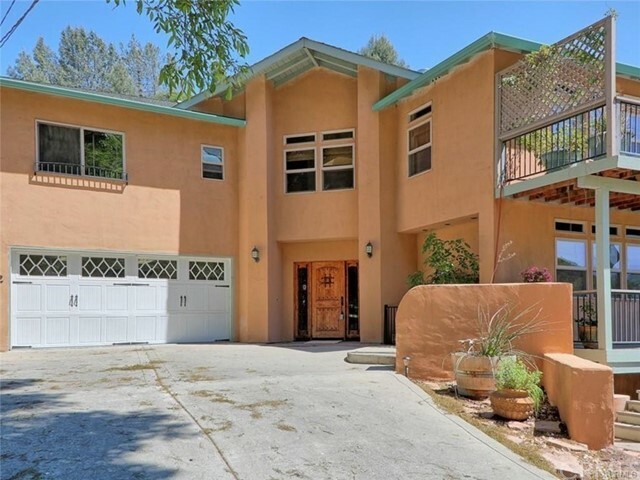 ft., 4 bedroom, 3 bath home (built in 2001) has a master suite, modern granite kitchen, walk in pantry, wine cellar, downstairs bedroom / bunkroom / hobby room with full bath, dining area great room with large stone glassed fireplace and separate guest quarters. The unique structual design of this home allows for many varitions of rooms sizes and shapes. Please see supplemental documents. Wrap around porch with slate flooring offers the ultimate space for dining and entertainment (or just relaxing!). The 2400 sq. ft. detached shop / garage building can store up to 6 vehicles + and contains an office / guest quarters with full bath. The design and location of this beautiful home was inspired by the 1928 cabin that previously occupied the site (repurposing some of its old growth heart redwood and stone elements). The property was developed as a long term family asset with highest quality materials and structural integrity. Waterfront." "5860 Live Oak Dr consists of a four bedroom and one & a half bathroom, 1558 sqft. single-family home. Parcel includes an 1,100 square foot detached garage/shop with a bath and a 192-square foot sound room. This parcel is just over 6 acres and is zoned PDC-DR for endless development opportunities. Commercial and residential development opportunity currently utilized as income property with three detached residences. Possible projects include: retirement facility, winery, agricultural use, multifamily, or a hotel. Property also qualifies for a highway billboard sign based on the county's current signage plan. Property has public water and septic, however, a county sewer lateral runs across the property. 5880 Live Oak Drive is approximately 2.65 acres and is zoned R2 for medium residential density. Property consists of a three bedroom and two bathroom, 1,680 sqft. manufactured home on a permanent foundation and a two bedroom and two bath mobile home. Both units share a 400sqft garage. Under its current zoning, this parcel may qualify for up to 12 single-family homes, a number of five-unit duplex projects, a family care home, or supportive housing. Both parcels are located along Highway 29 less than a mile away from downtown Kelseyville and feature roughly 1000 feet of highway frontage. *Not eligible for cannabis. Parcels are inside the community growth boundary"
"New construction! This custom built home just needs a few final touches and will be ready for some family to enjoy. 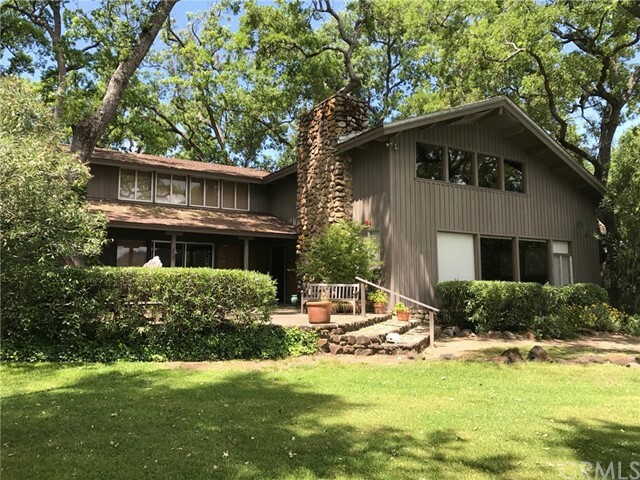 The home sits on six wooded acres with great views of the lake and surrounding mountains as well as the Red Hills vineyard area. Nothing spared on the construction of this home. The home features approx 3150 Sq Ft of living area and approx 900 Sq Ft of covered decking. Home also features 4 bedrooms 3 1/2 baths and three car garage. The list of amenities is so long we have attached a list under supplements Some of what this home offers is 2x6 construction, Gourmet kitchen with top of the line appliances. Hand rubbed finished Cherry wood cabinets and Quartz counter tops, African Mahogany flooring all open to the great room. Master bedroom features a jetted tub and walk in shower plus large walk in closet. Bedroom two has a kitchenette and private bath. Attention to detail is what you will see through out this home. Located in the Lake County wine growing region know as the Red Hills Appellation. There is even room for a small vineyard and garden. Come and enjoy some of the best Lake County has to offer!" "Welcome home to Hidden View Ranch! Currently used as an Equestrian Estate, but this would also make a wonderful ranch or hobby vineyard. 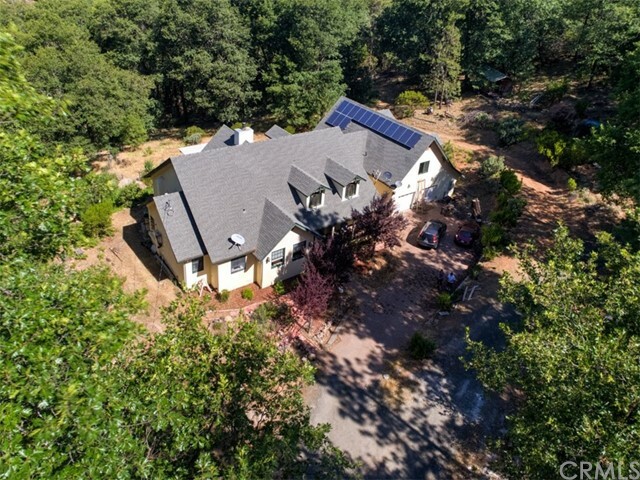 Located just a few miles from downtown Kelseyville, Hidden View Ranch is just over 30 acres and has magnificent and sprawling views from Mt Konocti to Mt Hannah to the Mayacamas. This home boasts 5 bedrooms/4 baths, a large family room and a designated laundry room! The kitchen has wide plank flooring and views from every window. There are so many amenities on this turn-key property! 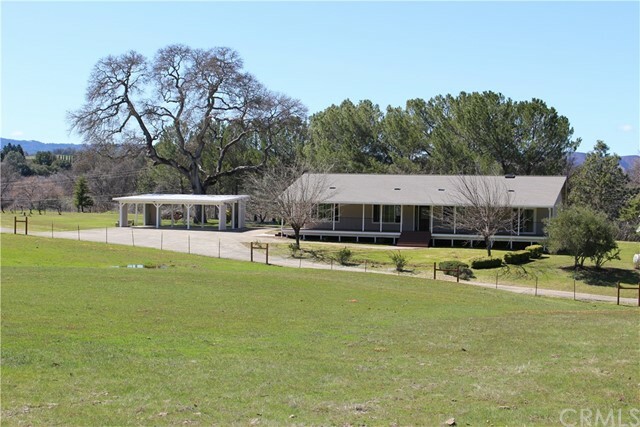 Hidden View Ranch has a detached 4 car garage with work shop, a horse barn with tack room, feed stall and paddocks, a metal hay barn, a 196 x100 outdoor arena with two connected stables, 2 Loafing sheds, a 50 diameter round pen and a large pasture area. Water throughout the property!" 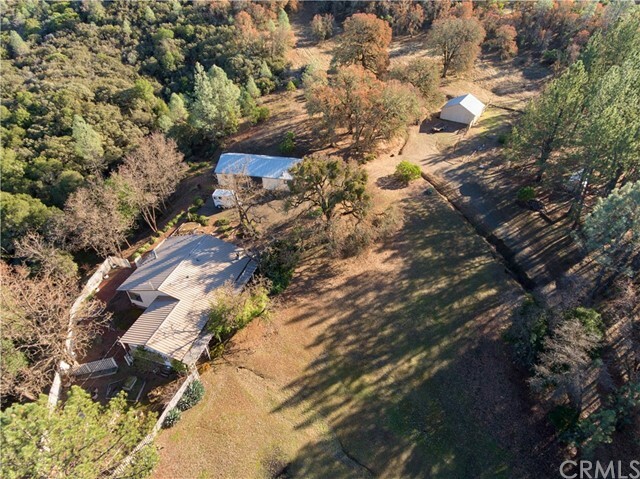 "Just a short 5 minute drive to downtown Kelseyville, you will find this gorgeous 160 acre ranch nestled among the hillside. Offering complete serene privacy with room for your imagination...animals...atvs to roam! There is an old, yet pristine 1960s mobile home with an added on step down family room with wet bar area, fire place, and laundry. Close to the house is the 2 car carport with his and hers storage rooms on each side with concrete floors and a fireplace! Below is the large barn with double door entry and plenty of room to park the toys and farm equipment. The land around the house consists of useable level land as well as gently rolling hills. Ride your ATV to the top and be swept away by incredible 360 degree views of beautiful Lake County! This would make a great retreat, hunting camp, potential vineyard, or anything else you've ever dreamed of!" 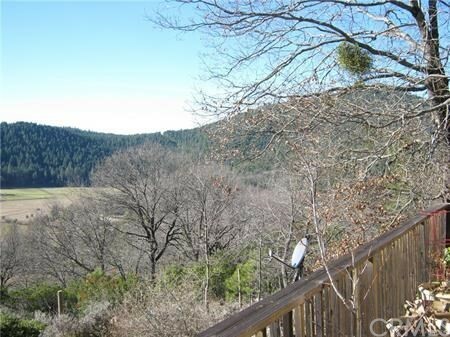 "GORGEOUS PANORAMIC LAKE, MTN & VALLEY VIEWS ON 31 ACRES. HUGE PRICE REDUCTION. With magnificent architecture and out of this world 360 degree views, this spectacular property is located high on a hill overlooking valleys, majestic Mt. Konocti and beautiful Clear Lake. Say goodbye to high power bills when you own this environmentally friendly home with 3 photovoltaic solar systems for water, pool and radiant heated marble floors + power. Alarm system. Salt water pool is solar heated and positioned to get the most from the views of the valley and lake. Spacious open plan with 3 bedrooms, 2.5 baths and massive great room with fireplace going thru to the huge master suite, an artist studio and 4 CAR garage accommodation. Home is stucco with a tile roof. In a perfect location this home is approx. 2 miles of historic downtown Kelseyville with its shops, restaurants, wineries and schools. 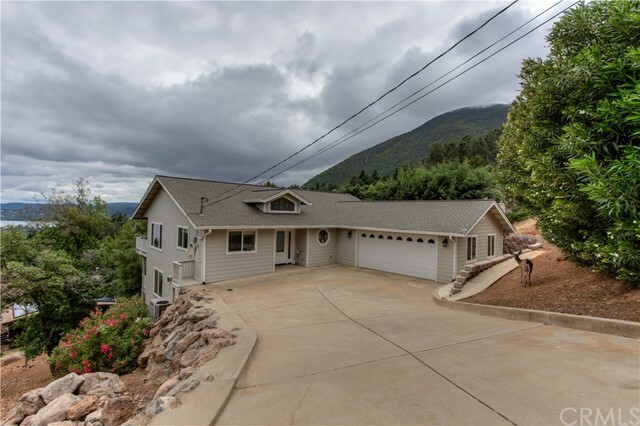 Situated on top of its own mountain, access is up a very gently sloping road to the electric gate the home is very private but easily accessible. Property is Certified Wildlife Habitat because of owner's conscientious planning, landscaping and sustainable gardening, wildlife may find quality habitat, food, water, cover and places to raise their young. Landscaping is low maintenance. This amazing Shangri-La is available to view by appointment." "Paradise! 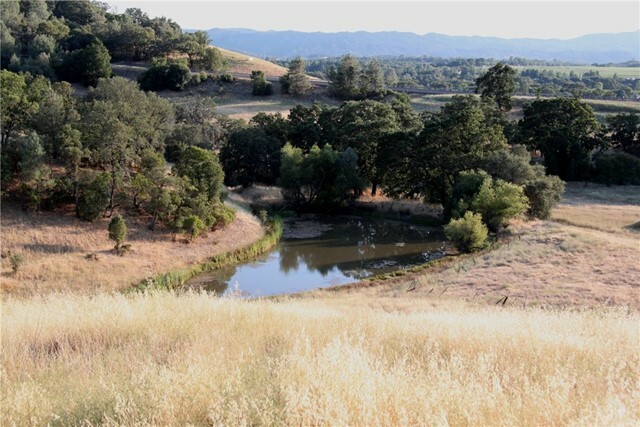 Private gates open up to this secluded 26+ acre Gentlemen's Ranch! GORGEOUS CUSTOM SINGLE LEVEL SOUTHWESTERN STYLE HOME with 2,774 SQ FT of elegant interior designed living space featuring dramatic high ceilings with beautiful natural wood beams, Spanish terracotta tile floors, large gourmet chef's kitchen, sunken living room, 4 bedrooms and an extra large family/bonus room, all with fresh paint inside and out! This wonderful property features a year round spring fed creek, a shooting range, archery course, zipline, shop, large enclosed dog run, a 20x40 shop/animal barn including 4 stalls with water and power, chicken coop, turkey coop, pig pen and duck pen all with water and power, animal feed shed, large corral with large enclosed barn, pump house, plus two 20ft storage containers with awning~both include power and water. 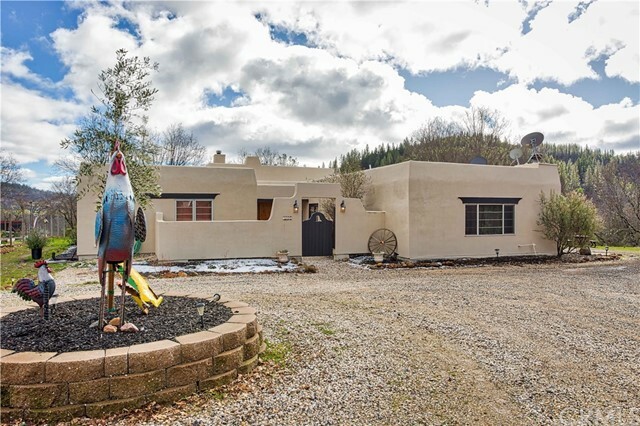 Plum, pear, blueberry, elderberry, and olive trees compliment this secluded private ranch. Enjoy hiking/horseback riding trails, wineries, golf courses, restaurants, and so much more!" "Beautiful Mediterranean architecture in this lakefront home in Buckingham park. The main house is approx. 2,700 sq. ft. with 3 bedrooms and 3 baths, custom built with old world craftsmanship abound. You will enjoy lake views from almost every room. Remodeled with granite countertops, hardwood floors, custom moldings and a gas fireplace. Circular patio is excellent for entertaining or just enjoying the wonderful lake views where sunsets are breathtaking and awe-inspiring. Oversized garage with separate carport for 2 cars. Plenty of parking. This property also has a 1BR/1BA guest cottage down at the water's edge accessible by a paved driveway. Property also has a large dock w/pier, party platform and covered automatic boat lift. 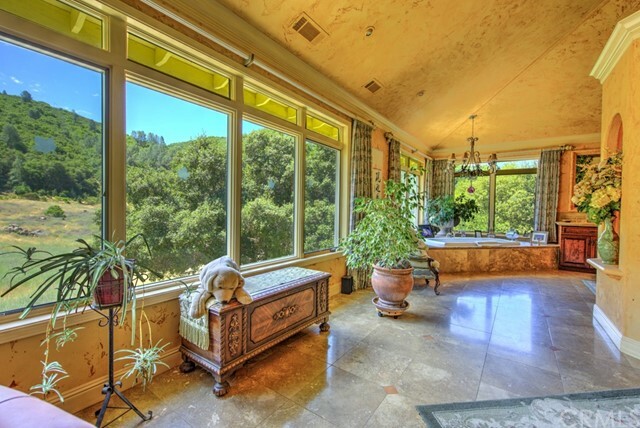 This estate was previously owned by a famous member of the Doobie Brothers Band. Annually, prior to the Doobie Brother's concert at Konocti Harbor, the band would meet here for drinks and good times." "STUNNING VIEW HOME + 2ND PARCEL: Architect designed approx 2,600 sq.ft. home on 3+ acres. Contemporary, light-flooded, open-plan layout. Beautiful finishes throughout: white oak floors, energy efficient windows, remodeled kitchen and baths. 3BD + 3 Bath (2 en suites). Large studio/study, with 1 of the en suite baths and separate access (possible 4th Bed/annex). House completely remodeled by current designer owner. Tile roof, 2 zone central heating, many new appliances. Good well. Large double garage. Newly painted, new pool liner. Adjoining 3.5 acre parcel (included) has good soils, and great views too. Must view to appreciate. OUTSIDE INCLUDES: Extensive ironwood entertaining decks and terraces. Natural stone landscaping with dining patios. The well maintained pool is heated by large concealed solar panels. About 1.5 acres of garden are fenced & terraced, which are served by a 24-station irrigation system. The well is approx 25 gpm, with a 2,600 gallon holding tank. Also includes a small barn, composting area, variety of producing fruit trees, plus 4-year-old walnut orchard. Both parcels offered at $789,000." "This is a beautiful Property with 2 Wells . 50 GPM . House has complete Lower Unit Square footage is based on Upstairs only. 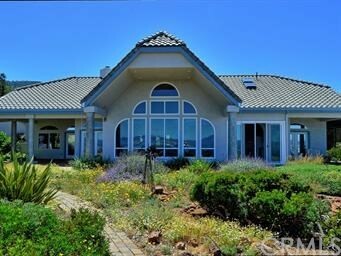 Incredible Views of Salmina Meadow.Feels like you are on top of the World .Bring all Offers ,Seller is Motivated Lower unit is separate living quarters with kitchenette and 2 more bedrooms"
"Elegant custom built home on 26 ACRES with the perfect blend of privacy, serenity and natural beauty. VERY large home features 3 bedrooms 2 baths on the main level with a large study, luxurious master suite with a separate shower and large jetted tub, Upstairs is an ADDITIONAL 1,600 square feet partially finished awaiting your imagination. Perfect property for a bed and breakfast or mountain retreat! Dramatic high ceilings and soaring windows let the lush and private landscape surround you. Chef's kitchen with double walk in pantry leads to beautiful formal dining room. Gorgeous hard wood floors throughout. 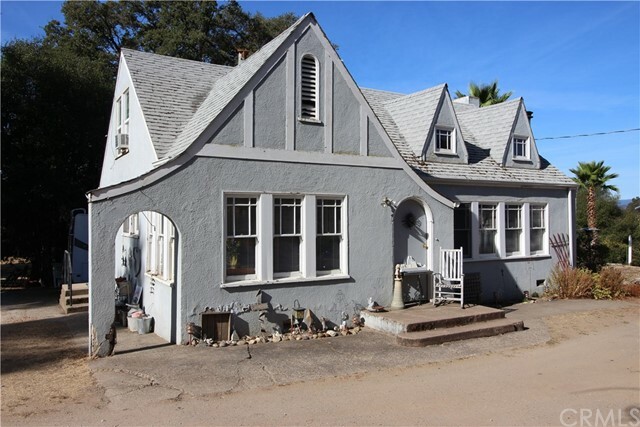 Distinctive architecture & custom upgrades are apparent in this large possible multi-family home with so many different potential uses. Solar system is all paid for and drastically reduces pge bill. Very private setting with multiple outbuildings and garden area. Relax on your expansive covered back deck while listening to the waterfall and koi pond with a gorgeous view of Salmina meadow below. Just over an hour to Santa Rosa and 2 hours from Sacramento. Property out of community growth boundary and fits criteria for Lake County's new ordinance. Truly a must see!" 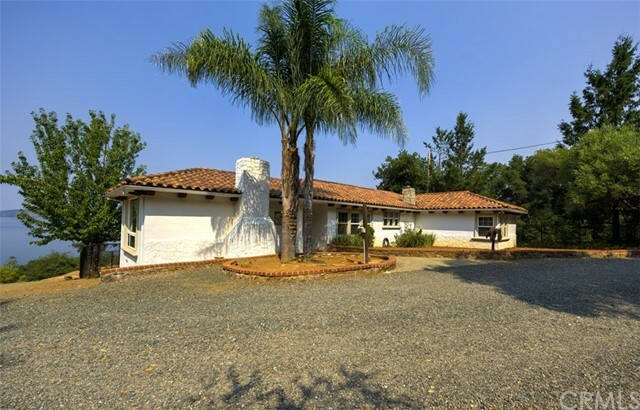 "Charming 2,240sf ranch style home completely remodeled with a 1,800sf barn and multiple outbuildings. Centrally located close to town, but secluded enough for the ideal retreat. Turn key and move in ready with a fully upgraded kitchen, brand new appliances, wet bar, vaulted ceilings with original cedar plank features, Venetian plaster accent walls with fireplaces, and stunning bathrooms. This 5.02ac property has a large updated porch with stunning views, full RV hookup, and plenty of storage for vehicles, RVs, boats, etc. Property is fully fenced making it perfect for horses, goats, sheep, and livestock. Adjacent 7.51ac ready to build parcel available for additional price." "Sophisticated & Elegant with Lake Views! This Single Owner 2004 Custom home of approx. 3,000 sf in Buckingham Park is on approx. 1 Acre. 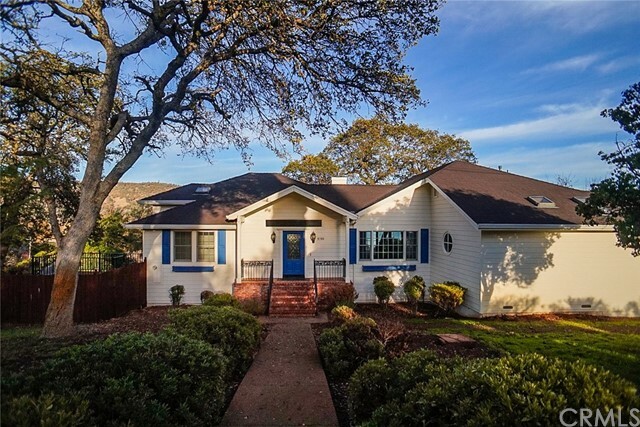 Features include pristine Cherry Hard wood floors, granite counters, 4 bedrooms, 2 1/2 baths plus 3 more rooms easily suited for dining, library/office & bonus or game room. All bedrooms Up, where Master Suite has gorgeous Lake Views & a large soaking tub. Large attached two car garage. Wood burning Fireplace in Family Room adjacent to Kitchen with Gas Stove Top on Island. Popular Great Room feel. Lovely serene outside entertainment area alongside landscaping & grass. The 1 Acre Double Lot secures an area of privacy among cool shade trees. Golf Course nearby. HOA only $155.00 Annually, provides shoreline beach with launch & pier into picturesque Clear Lake. Home is near the refurbished, soon to reopen, Konocti Harbor Resort, where dining & performances will resume for your pleasure!" "Come check out this amazing lakefront paradise! Imagine a home where, when you walk outside your back door you are greeted to miles and miles of water as far as your eyes can see. Your daily ritual might include starting up your boat from your own private dock and going for a spin on the lake, fishing, water skiing or just cruising to one of Lake County's many lakeside destinations. Or perhaps you'll stay at home in your own little slice of heaven. Nearby is an island you can swim to, with hot springs to partake in. Once you get done playing for the day the inside of this breathtakingly spacious home awaits. Complete with an open concept kitchen a huge family room all with lake views out each window. Perhaps you'll take a luxurious bath in one of your gorgeous bathrooms. Then enjoy a lakefront sunset. This home was made to entertain and live in style. Just a short drive from shopping and only a short 65 minute drive from Napa Valley." "GORGEOUS TUSCAN STYLE HOME NEXT TO RIVIERA MARINA. No expense was spared in construction of this beautiful home, from magnificent front door and knotty alder custom cabinetry throughtut to the Brazilian cherry wood floors and brand new quality carpeting, it's a stunner. On the ground floor is a large recreation room (could be granny/in-law unit or massive party room)) with walk in closet, kitchen/dining area and bathroom. Lower unit has a deck and separate entrance as well as access from main house. Upstairs is the main living area with 3 good size bedrooms (main bedroom is massive with extra large walk in closet) spa tub, separate shower, his and her counter areas and separate toilet with bookshelves and knotty alder cabinetry. Extra large living room with plenty of windows and light, opens to a good size deck with some lake views. Drapes are lined silk. Kitchen features an granite counters, an island with vegetable/bar sink. Stainless Maytag gas stove, refrigerator, microwave and dishwasher. Glass lighted cabinets for glassware etc. Loaded with cabinets and storage space, it's a Chef's dream. Separate family room opens to flagstone back patio which is quiet and secluded and perfect for BBQ and outdoor entertaining. Located next door to the privately owned Riviera with its rental mooring space. Big two car garage. You will never feel cold in this home with it's radiant heated floors on all levels.. Heating and A/C are zoned for economy." "This stunning traditional style lakeview home with tree lined drive was built to Impress! Solid Oak hardwood floors flow through home into the amazing gourmet kitchen with soaring ceilings exposed beams and 3 skylights. Features a butcher block center island, Italian hand-painted sink, 2 Refrigerators, 6 burner commercial range with double ovens and griddle. Copper faucets set off the hammered copper sink and quartz counter-tops. Enjoy stunning views from the open family room with vaulted ceilings of white batten board pattern, skylight and picture window. 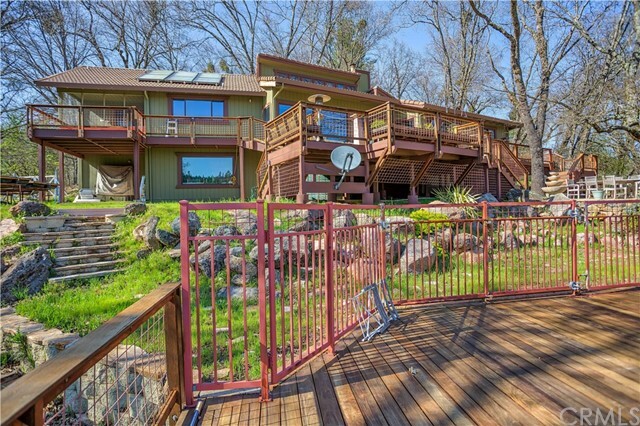 Slider doors lead to the attached over-sized deck, soaring oak trees set off the sweeping lake and island views! Enter the 2nd set of slider doors to the living and formal dining room areas, corner fire place is surrounded by custom hand carved mantel. Private Master BR was designed with picture windows, sitting area and huge walk in closet. The master BA was designed with custom tile, double sinks, walk in shower and corner jetted tub with view. Two additional rooms at lower level offer private slider doors to attached lower deck and mirrored closet doors. Hall bath with double sinks are set in tile. Home sits on a tree studded corner lot, aprox. 1 acre. Grassy landscapes, gorgeous large oaks, garden beds and fruit barring trees add to the beauty. The attached 1000 SF garage allows for toy storage. 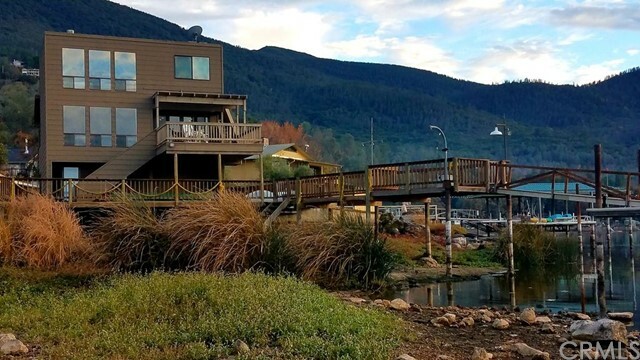 Located just above Clearlake with world class fishing and water sports. Beach rights included in purchase." "Step Up to Buckingham Park Kelseyville, where Paradise is defined by living serenely on the Golf Course, seconds from beautiful Clear Lake. This turn-key Grand Home, was custom completed in 2008, by the current single-family owners, who spared no expense using 2 x 6 framing with R-19 insulation. Features include: Half-moon Driveway; Fully Finished 3 Car Garage; Golf Cart Garage on Course side; 9 ft Main Living Areas finished with crown molding, highlighted by gorgeous Brazilian Cherry wood flooring; Main Level Master & Guest Bedrooms plus Baths & walk-in closets have skylights; Half bath across from entry level Office; Fabulous 75 x 12 partially covered, Trex deck Golf Course Views; Great Room Living & Dining areas; Large kitchen with Granite Counters; Five-burner propane Gas on Glass Cooktop; Dual self-cleaning electric ovens (one convection); Double stainless refrigerator; Handy walk-in pantry; Laundry room with a sink & plentiful cabinets; Milgard Energy Star windows; Hunter Douglas Honeycomb Blinds; Main Level Armstrong Air Tech propane split Central Heat & Air; Rinnai tankless water heater; Finished lower level accessible from inside is great for hobbies, parties, visiting or long-term family guests, & has Bamboo floors where the pool table & entertainment rooms are with a separate Rinnai propane heater; & Full 3rd Bathroom on lower level. Home is located on the a tranquil golf course, walking distance to boat launch, clubhouse, picnic & fishing beach on Clear Lake!" "This move-in ready home has plenty of natural light throughout located on a large corner lot . Dont miss this listing! 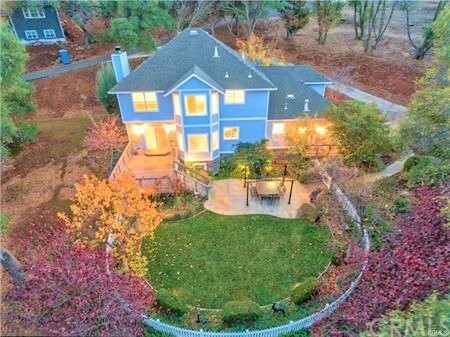 Amazing Lake views from upper level and downstairs to enjoy. Main floor includes formal dining room, living room with vaulted ceiling, brick fireplace open to kitchen area with many windows with custom shutters to enjoy the views, 2 sliders (with custom shutters) to access the back newer trex deck. Down the hall is bedroom, hallway bathroom for guests, master suite that is open and has private small deck to enjoy or slider to main top deck, plenty of closet space, sunken in tub with jets to relax , shower is separate.Hardwood flooring upstairs except for hallway and bedrooms. Downstairs is all laminate flooring through out with free standing pellet stove plus 2 more bedrooms, full kitchenette with stove, dishwasher, refrigerator and spacious room with Bar , family room and slider to bottom deck for entertaining or separate living. Bottom deck has access to back yard with lemon, apple, cherry, apricot, peach , orange, fig and pear fruit trees, more storage under home . New roof, new solar owned, many recent upgrades in this home. Within walking distance is the Clubhouse & Pool, also included is access to marina and boat launch"
"Delightfully open and sunny floor plan in Riviera West! 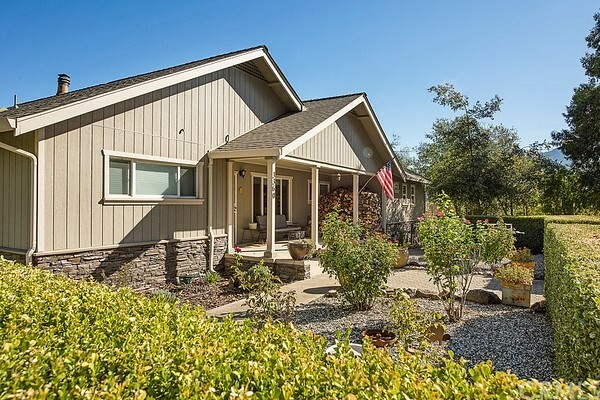 This home is better than new it is so pristine and reflects what Lake county is all about! Spectacular wall of windows as you enter the large great room with built in fireplace, dining room and flows nicely onto the full length deck to absorb the wonderful Clear Lake Views! Conveniently laid out kitchen with all the amenities the cook wants. Ideally situated is the main floor master suite that is huge and has private access onto the rear deck. The bath has a nice size jetted tub, dual vanities with a separate walk in shower and large walk in closet. Your guests or kids have their own heaven complete downstairs, a large bonus room with pellet stove make a great Theater/movie room large enough for a pool table, two full bedrooms and a large bath with walk in shower. Opens up to its own private deck with lake views. Gentle sloped driveway make it easy for additional parking of all your toys in or outside of the double car garage, and it is surrounded by maintenance free landscaping. This home is a quality built Bridges Construction home and has been impeccably maintained! Come and make this your Lake County Dream home!" "Stunning parcel of 75 acres could be the perfect property for an investor, contractor or a beautiful place to live. Per assessor the property is zoned R! with a year around pond, two wells, two uninhabitable residences and two barns. Public water and sewer at lot line. Subdivision plans available but need to be updated. Ready for development or the perfect spot for your dream home. Finish this projected 50 plus lot subdivision on 75 acres."